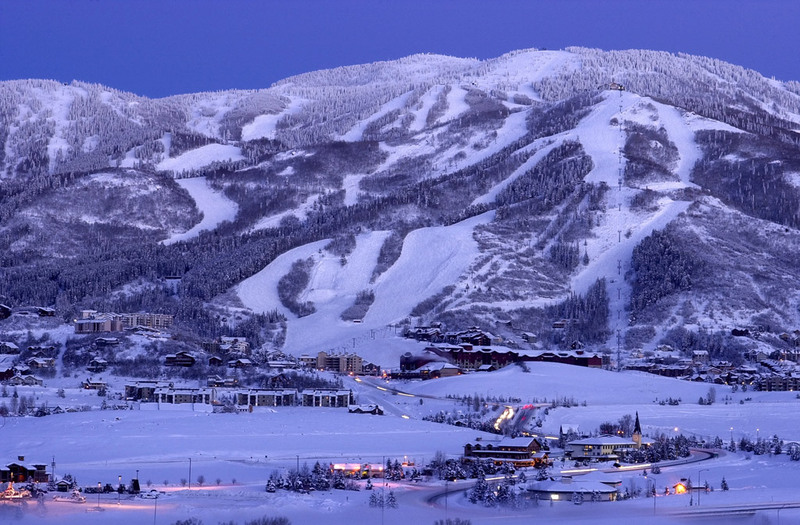 Moving Mountains in Steamboat Springs, Colorado, recently compiled insiders’ information to planning a perfect Steamboat ski vacation. Moving Mountains’ tips provide valuable local information – the company is based in Steamboat Springs and staffed with passionate year-round residents who enjoy the area’s recreational opportunities as much as the visitors they serve. Moving Mountains, the local high end vacation rental specialist in Steamboat Springs, Colorado, recently compiled this insiders’ guide to planning a perfect Steamboat ski vacation. Moving Mountains’ tips provide valuable local information – the company is based in Steamboat Springs and staffed with passionate year-round residents who enjoy the area’s recreational opportunities as much as the visitors they serve. Steamboat Springs is situated less than three hours by car from Denver, yet it is a world apart from its sister ski areas located along the Interstate 70 corridor. Being a tick farther from the city and slightly off the beaten path, Steamboat Springs enjoys fewer crowds and thus, shorter lift lines. Moving Mountains suggests guests fly from Denver International Airport into the Yampa Valley Regional Airport, a 45-minute flight, then a 22-mile drive into Steamboat Springs. Yampa Valley Regional Airport offers direct flights from several additional major cities, including Atlanta, Chicago, Dallas/Ft. Worth, Houston, Minneapolis/St. Paul and Newark. For those who chose to drive from Denver to Steamboat Springs, Moving Mountains recommends avoiding leaving Denver in the morning hours on Saturdays and Sundays – the “Weekend Warrior” skier traffic from the city to ski areas located along I-70 is heavy. Steamboat Springs offers a free bus that travels frequently between the town and the ski mountain, with stops at many condominium complexes and hotels. Several vacation properties also offer their own shuttle buses. Moving Mountains has its own fleet of four-wheel-drive vehicles that shuttles its guests wherever they need to go. Utilizing these options can relieve guests the stress of driving in winter weather. For guests that desire to rent their own vehicle, several car rental companies are situated at the airport and in Steamboat Springs itself. Steamboat Ski Area offers incentives for purchasing multiple day lift tickets, and Moving Mountains offers additional discounts on these tickets when purchased more than 7 days in advance. Additionally for families, Steamboat’s Kids Ski Free™ program allows children 12 years of age and younger to ski free the same number of days as their parents and grandparents when parents and grandparents purchase a 5-or-more day adult lift ticket at regular price. This April, the ski area is offering its Springalicious pass. Guests can ski or ride any four days between April 7 and April 15 for $99 when purchased at least 24 hours prior to the first day of use, online at http://www.steamboat.com. Moving Mountains helps its guests purchase tickets in advance online, saving time at the ticket window, and will have them waiting at their exclusive accommodations on arrival. Steamboat Springs, known as Ski Town USA® because it has sent more athletes to compete in the Olympics than any other town in the country, is much more than a ski town. 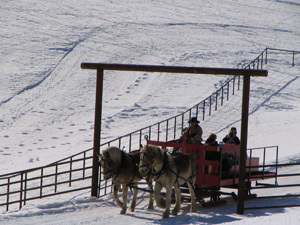 With an average annual snowfall of more than 330 inches, the town offers an array of winter activities, including sledding, tubing, snowmobiling, cross country skiing, dog sledding, snowshoeing, ski jumping, ice skating and more. (See full description at http://movingmountains.com/ski-chalet-blog/2012/02/steamboat-what-to-do-off-the-mountain/.) The town hosts two diverse spots to enjoy hot springs– one, in the heart of downtown, complete with water slides and lap pools; and one set in a natural mountain environment. Moving Mountains encourages visitors to make reservations for activities prior to their arrival – that guarantees a spot and means one less detail to take care of once on vacation. Moving Mountains staff will assist its guests in creating memorable off-mountain itineraries, making the reservations and arranging transportation to and from the various activities. Steamboat Springs offers two major grocery stores, two health food stores, a meat market, bakeries, deli shops and numerous restaurants and bars. Dining options range from kid-friendly to fine dining. Most restaurants take reservations, and visitors are smart to make them during the busy season. Moving Mountains guests can enlist in a Full-Service Catered Package, in which gourmet meals are prepared and served by staff chefs in the comfort of their vacation home. Moving Mountains staff also will arrange grocery stocking in advance for its guests, so their home is fully set up when they show up to begin their vacation. Visitors can check out Steamboat’s local newspapers, the Steamboat Today (free, published Monday through Saturday) and the Steamboat Pilot (Sunday paper for a fee) for a variety of specials that shops and restaurants offer each week, http://www.steamboatpilot.com. Steamboat Springs has its own local version of the nationally popular Groupons, called Hot Steamboat Deals. Deals are published in the newspapers and can result in significant cost savings at a variety of businesses. Moving Mountains encourages visitors to talk with the locals they meet to discover their favorite restaurants and activities – Steamboat residents love their community, love to recreate and are known for their friendliness. For more information or to view Moving Mountains lodging photos, activities, menus and more, visit http://www.movingmountains.com or call 1-877 624 2538 or 1-970 870 9359. Attributable to Robin Craigen, president of Moving Mountains Chalets. Click here for Craigen’s LinkedIn profile: http://www.linkedin.com/in/robincraigen. Please contact Moving Mountains PR to arrange an interview and/or for additional quotes: pr@movingmountains.com. Moving Mountains is a local company that manages luxury vacation rental properties and catered ski chalets in Steamboat Springs, Colorado. Founded by Robin and Heather Craigen in 1997, Moving Mountains introduced Colorado to the catered chalet concept that is widely prevalent in Europe. Moving Mountains currently manages 20 private luxury rental homes and 21 slope side private residences at One Steamboat Place, Edgemont and Chateau Chamonix. Off-mountain winter activities abound in Steamboat Springs, Colorado The Steamboat Ski Area offers terrain for all types of skiers. 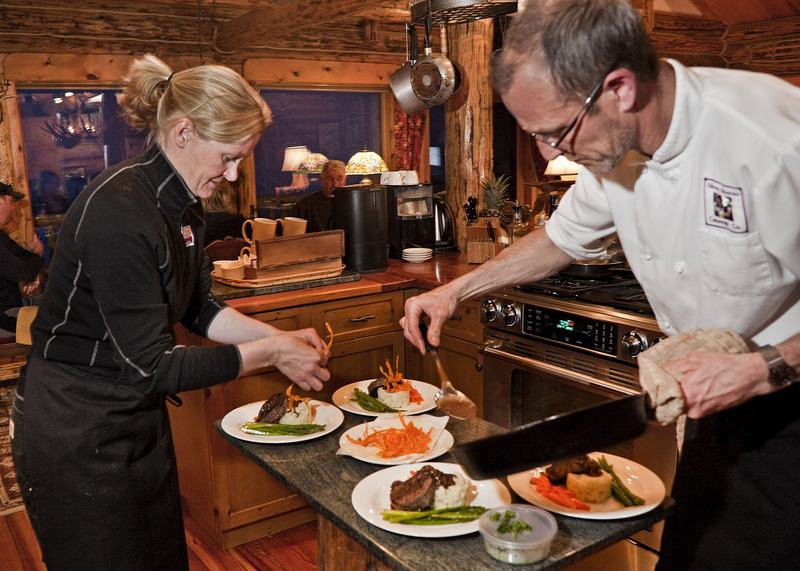 Moving Mountains chefs prepare gourmet meals in the privacy of guests' vacation homes.